Some of you love them, some of you look at them suspicious and some don’t even wanna look at them. The story goes for the single hooks, a more recent “fashion” that even if it appeared before many years, only now started to be more regular on lures straight from the factory and not as an alchemy experiment by individuals. We are about to see the advantages and disadvantages of them and if it worth to replace the 9 points of a three treble hook lure with only 3. Trebles are masters of good hook ups! Excellent hook up: The three points of each treble hook are remarkable guardians and often grab the attacking fish, no matter the side. Also during the run, free trebles tend to hook also on the fish, securing it. When two or more treble hooks manage to hook on the fish, they destroy its swim and make it easier to land. So treble hooks are really effective and we must never forget how many fish we have captured from the back, the tail or the sides, result of a bad strike or an effort of the fish to simply push the “intruder” out of its territory. Hook offs: This is another result of the very easy to hook character they have, since some hook ups are very frivolous and end up by tearing the skin or flesh. So the “land” to “lose” ratio especially on the bad days might be equal. 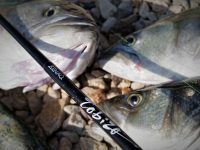 Finish wear off: The treble hooks may be the masters of “hooking” but this same advantage carries a lot of disadvantages. First and most important is the scratching of the finish. Even lures with strong finish tend to wear off to the spots the trebles scratch while in use and lures with weaker finish show remarkable damage even from the first day. The sharpest the trebles are, the larger the problem becomes. This wear off appears on the lures with an arch or “rainbow” shape. Visibility: Another problem has to do with visibility. A treble hook due to its mass, is really something that is hard to hide it, and two or more trebles on a slim lure are a big deal. Noise: As someone can figure out, two or more metallic things with their splits on a “swimming” lure, make a hell of a noise! Some of you might say that lures do have balls inside to produce noise, but I’m about to inform you that is different a noise that is produced from the inside of the lure than from outside. This problem gets bigger when the sea is calm. Well this might sound like not a big thing for many of you but for me is a top priority one. 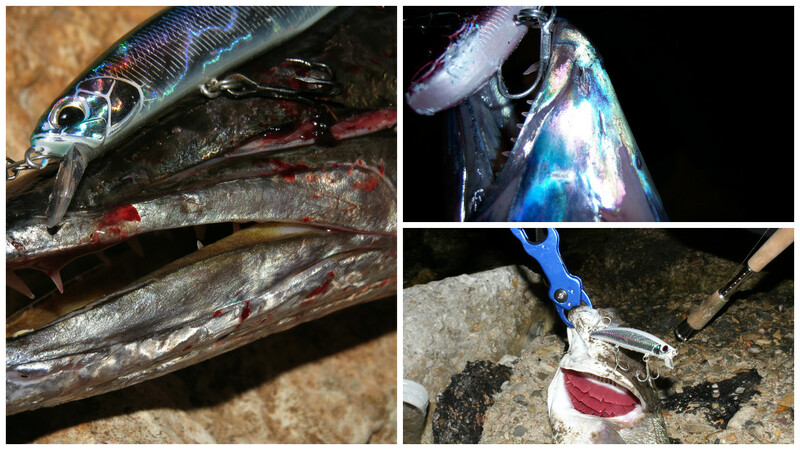 Snagging: If you are a fan of using sinking lures close to the bottom, you will know what I mean. Sometimes you lose the lure from the first “sit” on the bottom. And no matter how much you will pull and shake it, it will never let go the rock. Stowaways: Treble hooks are masters to take souvenirs in their way like pieces of plastic, weeds etc. And we all know that when we have something on our lure, two things happen. The lure does not act properly and nothing bites it. 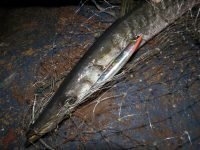 Setting the hook: Usually the power and tense of the rod are not enough to push deep two or more points that happened to touch the fish while striking, so it is necessary to set the hooks on the slightest touch of it. The discreet presence of the single hooks can fool even the most smart fish. They are not like ordinary hooks. They are designed to fit on lures and this is why they have the ring on parallel position with the hook so they can stay properly. They are light, sharp and very strong! 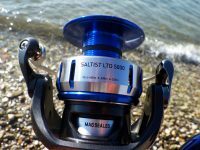 Better buoyancy: In comparison with the treble hooks, single hooks show a much less resistance during use and this enhances the lures action in most cases. 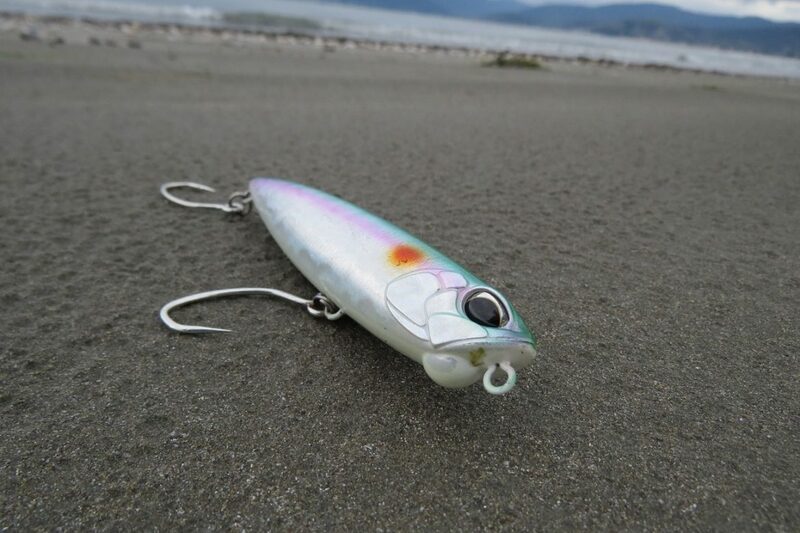 Sometimes lures that normally can not act properly in strong tides, with single hooks can. Perfect finish: You guessed right! No actual wear off on the finish of the lure and this is a great advantage if someone cares for it! Strong hook up: When a single hook grabs a fish, it grabs and won’t let go. The large curved shape they have, tend to go deep even on the bones and hold perfectly. When all of the rods power gathers on a single point the hooking penetration is huge. 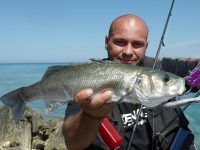 Normally single hooks grab fish from the mouth and because of their shape and lightness during strike they enter there. Safer bottom contact: Single hooks are a better choice when you want to meet your lure with the bottom. Even if it snags on it, you still have some serious chance to snag it out with some rod shaking. Less noise: It is natural! Less metal rubbing on the lure, less noise produced. Setting the hook: Usually the power and tense of the rod are more than enough to make the single hook to enter deep. So even on a sudden strike that we are not aware; the rods power is enough to secure it. Left: It is better to choose single hooks of equal weight with the primary treble hooks in order to not change the sinking – floating type. Right: Singles and trebles for any case and any lure. Failed strikes: Yes it is the number one disadvantage. 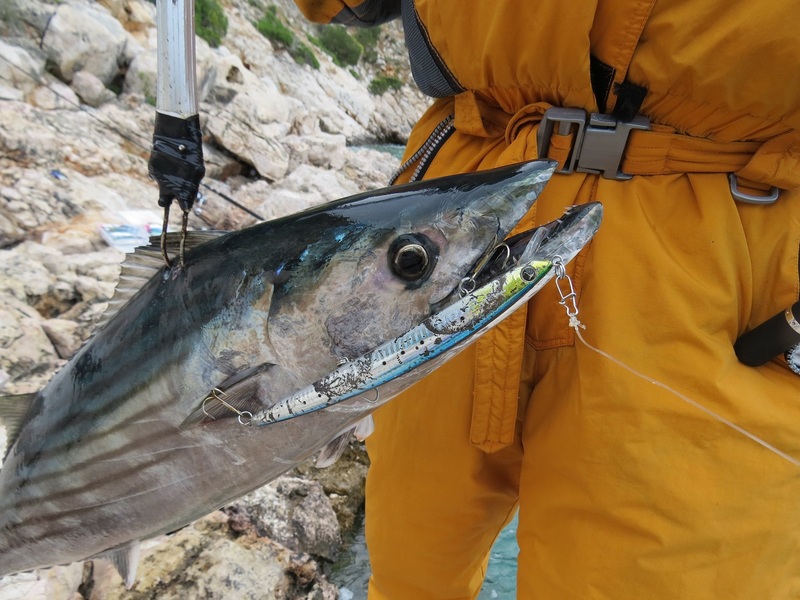 Single hooks do hook up well, attacking ferocious predators but not the lazy ones. So attacks in the style “get the f…k out of my territory” usually are failed. Also the rest single hooks during a fight, only rarely manage to secure the fish with a second hooking. ID Changing: If you have a suspending lure and you change the trebles with single hooks, don’t be surprised if you end up with a floating one. 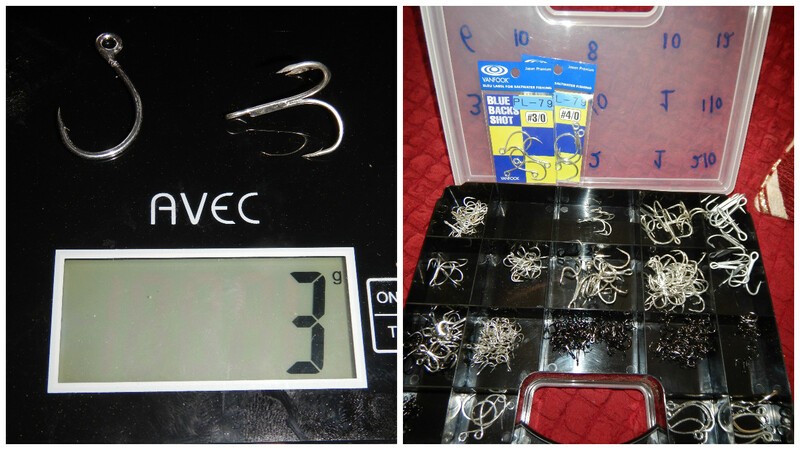 The different weight can have serious changes on each type of lure, and some might not work properly (rare cases). Now you are ready to go on and experiment with your lures and your single hooks. Personally I’m a man that cares mostly to get the fish the way I want, rather to get the fish by any cost. This is why every time I see a fish hanging from a single hook, the image by itself turns me on and pays my efforts!